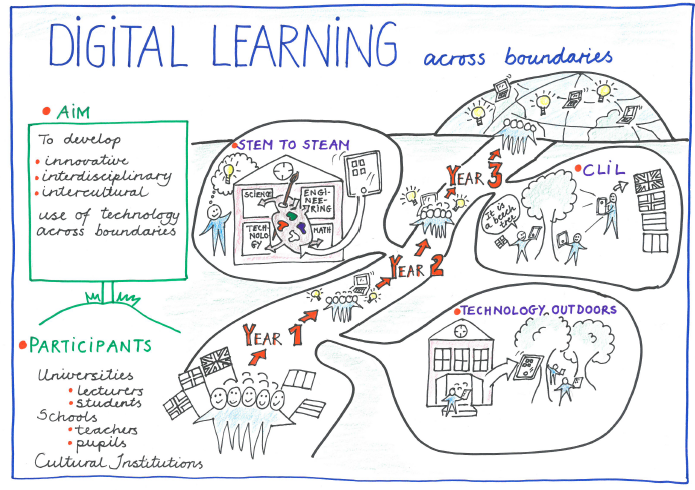 This year is the second year of the Digital Learning Across Boundaries (DLAB) project. We are nearly ready to share learning ideas and resources based around using digital technology creatively with STEAM (Science, Technology, Engineering, the Arts and Mathematics). The online course will begin in the first week of June. You can sign up at this link. STEM to STEAM adds the Arts to the integrated and applied study of Science, Technology, Engineering and Maths (STEM), to create interdisciplinary challenge-based learning opportunities. Creativity and imagination, which lie at the heart of the arts, are blended with the critical thought and enquiry of STEM. This is a flexible online course that you can join in with at a pace and depth that suits you. We will suggest activities and ideas based on our international DLaB project work, and encourage you to try them within your teaching. We would like you to leave each week with something new to try out in practice and we will encourage you to share your experiences and swap ideas on our weekly themes within our Google+ community. You can start sharing ideas in the online community now; there’s no need to wait for the start date. Our course is aimed at primary and lower secondary teachers, however anyone with an interest in the field is very welcome. It is in English. 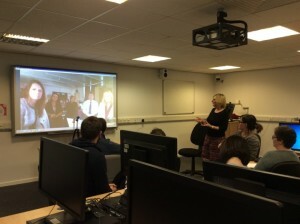 Last week two Foundation Degree Learning and Teaching (FDLT) groups took part in conversations with students in Mexico and UN alumni in Brazil. The first part of the conversation was focused around asking and answering yes/no questions to find out where in the world they were within a Skype call. The rest of the conversation explored comparisons between the education systems and school life in each country. Over two days students made contact with educators and alumni to discover how FDLT students could enrich their own work in UK schools. 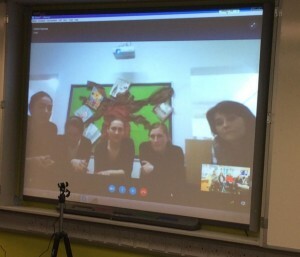 Dr Brenda Padilla, part of the Faculty of Psychology from the Universidad Autónoma de Nuevo Leónin in Mexico, has blogged about the experience which enabled her students and ours to discuss aspects of classroom differentiation, educational politics and course modules. Whilst Carolina Andrade a former UN student working in São Paulo, Brazil was able to reflect on her learning experiences with FDLT students. Across the two days students took part in Changemaker workshops and presentations faciliated by Liam Norton, Abi Wicks and Marie Alty. 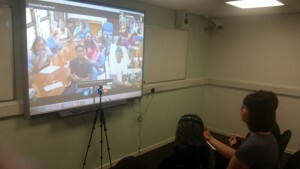 Also our Skype Guest Speaker Yvette Thomas Head of Equalities Children’s Social Care and Learning for Buckinghamshire County Council, encouraged FDLT students to see the classroom as a ‘Window to the World’ in an attempt to work with partners in other countries. You might like to go beyond your classroom and school this Christmas and make contact with children and schools around the world. Exploring education around the world with Mystery Skype. 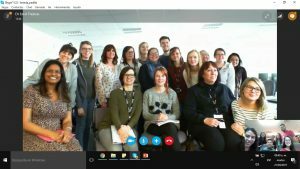 This week all three Foundation Degree Learning and Teaching (FDLT) groups took part in conversations with Teaching Assistants and students in other countries. Julie Jones, Estelle Tarry and Emel Thomas used their contacts to set up Skype conversations with schools and universities abroad. The first part of the conversation was focused around asking and answering yes / no questions to find out where in the world they were. The rest of the conversation explored comparisons between the educations systems and school life in each country. Over three days we made contact with educators in three different countries. I’m not going to say which in case it spoils the experience for future students on the course! Dr Emel Thomas said “The students this afternoon said it was inspiring and something they would definitely do in their schools as a starting point for establishing international relationships. 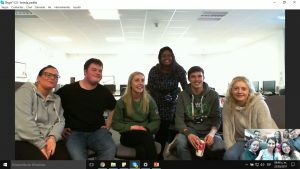 Students on both sides of the Atlantic engaged in a discussion regarding the routes into education and differing styles of learning and teaching within schools. Some topics touched on includes: Lifestyle; Cultural Differences; Provision for SEN; Classroom Differentiation; Course Modules; Educational Politics to name but a few!” Julie Jones added that it was “really useful to our students and the conversation that came from the Skype experience was really positive, with lots of ideas about how this type of activity and opportunity could be replicated for children” and Dr Estelle Tarry captured it well when she said it “has inspired (our students) in so many different ways; international networking, employment opportunities, similarities and differences in school setting/curriculum/TA roles and using the model with their class children.” I felt that it was possible to get a sense of the engagement when it is used in classrooms and Belinda Green added that it was fun – we could see such motivation and team work on the part of the students. It was interesting to find out more about the range of student experience from their schools’ involvement with schools abroad. There’s more about using Skype to contact classrooms around the world here. If you have a go with your class let us know how it went in the comments below. 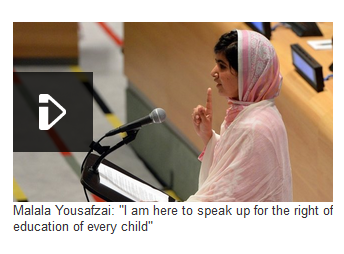 A call for better access to education for children and young people everywhere! Less than three years before a turn-of-the-millennium promise by world leaders to ensure that all children can attend primary school becomes due, 61 million still have no classroom to go to. Think about the educational experience children in the UK and compare it to the opportunities children in other countries might have. What do you think the obstacles to universal education are? What are the implications of the fact the 61 million children around the world have no school to go to?